Life On Another Planet. Buy at Amazon. LIFE ON ANOTHER PLANET (1993). It's the near future, and the first evidence of intelligent life on another planet reaches earth — a signal from space. This story traces the effects around the world as mankind discovers we're not alone in the universe. Will Eisner wrote in July, 2000: "This was … an attempt to produce a graphic novel that was constructed in the same structure as a classic literary work. By taking what would be a science-fiction plot and treating it from a more humanistic viewpoint, I hoped to come up with a book that would deserve adult interest." Initially serialized in the Will Eisner Quarterly as Signal from Space and published in color in 1993 under that title by Kitchen Sink Press. 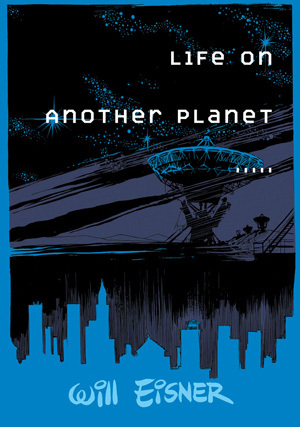 Reprinted in black and white as Life on Another Planet by Kitchen Sink Press in 1995. 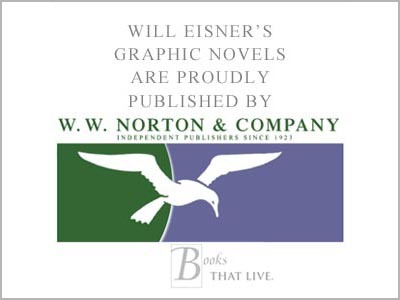 Reissued later as part of The Will Eisner Library imprint by DC Comics, featuring an introduction by Nebula-award winning science fiction author James Morrow.